We are proud to present our executive report on "The Economic Impact of "El Clásico", written in collaboration with Brazilian sports marketing consultant and columnist, Amir Somoggi. The report analyzes the revenue growth of football giants Real Madrid and FC Barcelona in comparison with the Spanish GDP. Below you can read the key points of the report. "MORE THAN A FOOTBALL MATCH"
The world will once again stop on April 23rd as Real Madrid and FC Barcelona will meet in a match that could decide the league title. However, the impact of this match goes far beyond the sporting aspect. El Clasico is more than a football match. 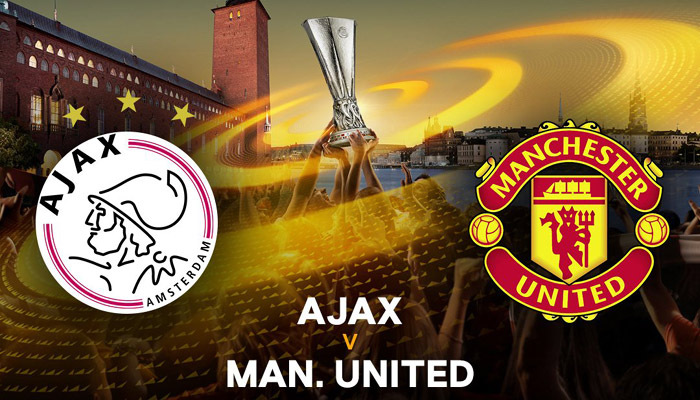 It is a global spectacle that brings together two massive brands that generate lucrative revenues each season. 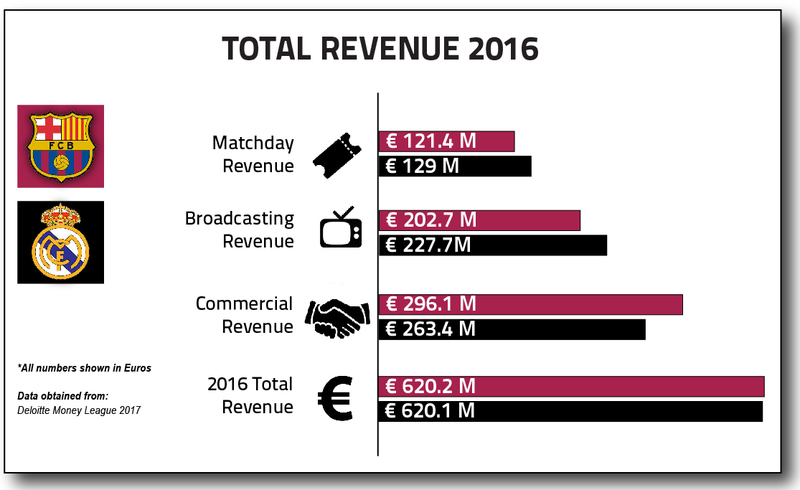 Both FC Barcelona and Real Madrid consistently rank among the richest clubs in the areas of matchday, commercial and broadcasting revenues. 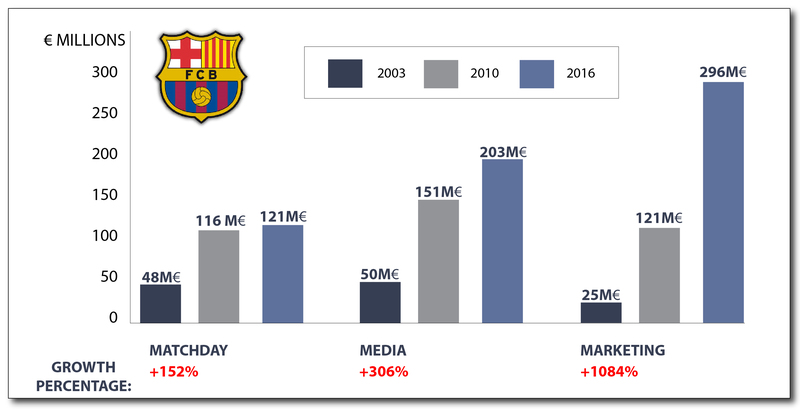 The massive growth in revenue of these two clubs can be put into economic perspective when compared in relation to the growth of the Spanish GDP over the same time frame. 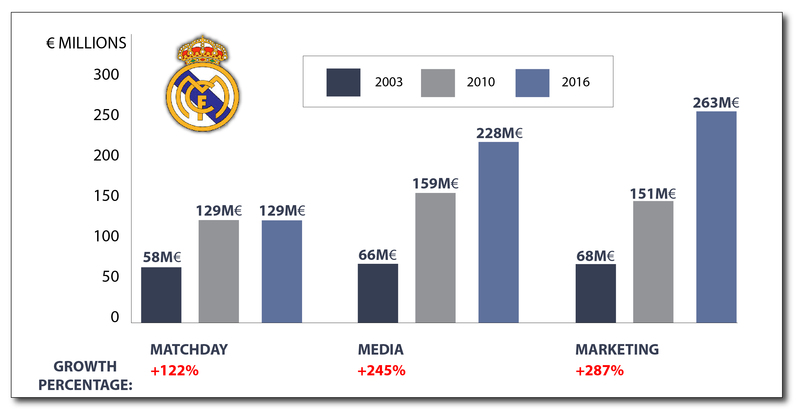 The combined revenues of Real Madrid and FC Barcelona have been growing far above the country’s econ- omy for over a decade, further highlighting how the constant search for international business models has led to their success both on and off the pitch. Real Madrid and FC Barcelona are two sports properties that are in constant growth, exploiting their commercial assets and consistently building their brands at an international level. The comparison of their combined annual revenue in con- trast with the total GDP of Spain clearly demonstrates that their impact goes far beyond the football pitch. It is no surprise that this iconic match will now also be played outside of the Spanish territory in Miami, USA, this summer.